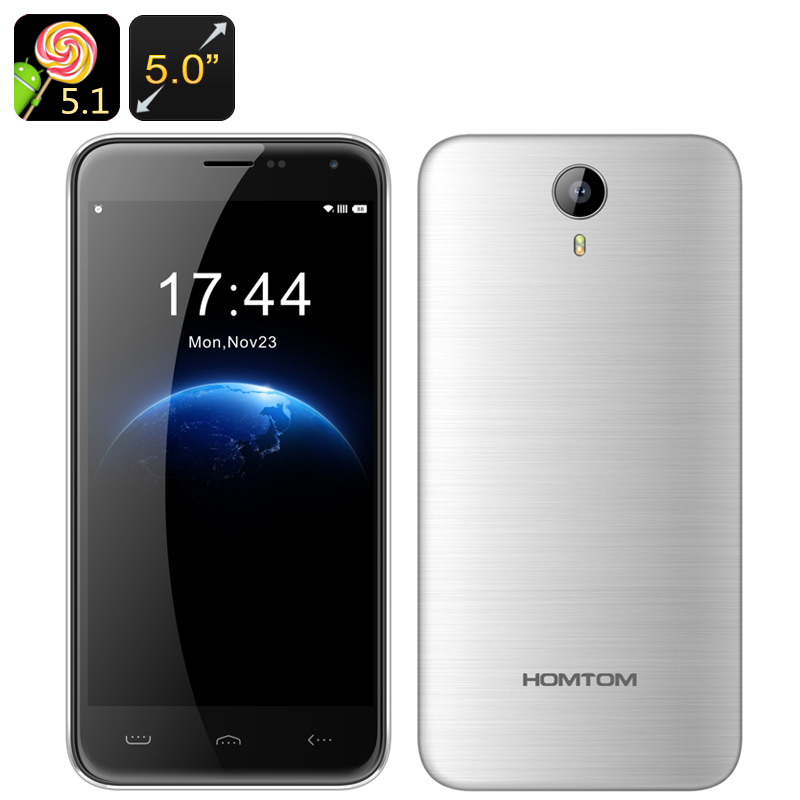 Successfully Added Homtom HT3 Android Smartphone - Quad Core CPU, Mali GPU, 5 Inch HD Display, 3000mAh Battery, Dual SIM (Silver) to your Shopping Cart. The Homtom HT3 has everything you need for daily Smartphone tasks so checking up on social media, playing games, watching movies and keeping in contact with all your friends is covered - with its entry level price tag this phone makes sense for anyone looking to keep their costs down. With a nice 5 inch HD display you get a great visual experience for the price while the 2.5D glass display blends nicely with the phones rounded edges for an aesthetically appealing look that fits comfortable in the hand. Thanks to picture perfect 1280 x 720 resolutions with a high level of brightness and rich colors you can enjoy games and movies as well as quality multimedia and browsing. The Quad Core CPU with a 1.3Ghz speed is paired nicely with a Mali 400 MP GPU for additional graphic prowess so you will be able to enjoy fun games and multitasking without any lag. A modest 8GB of internal memory can be bolstered with a micro SD card offering up to 64GB of expandable storage space. with that much storage your will have plenty of room for your entire music library as well as videos, games and photos. The ever ready and reliant Android 5.1 operating system takes control of the Homtom HT3 so even with multiple apps running you can enjoy a seamless operation, what's more the HT3 has wake gestures for easy access to apps. Supporting 2G and 3G ECDMA bandwidths you get a respectable cell phone coverage and with two SIM slots you can manage multiple numbers and enjoy a more organized social and professional life. The HT3's battery offers enough juice for an average day's usage or as much as 200 hours in standby. 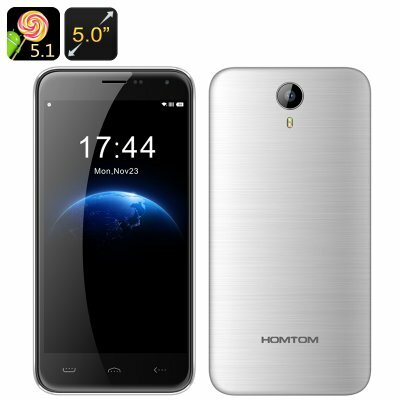 The Homtom HT3 Smartphone comes with a 12 months warranty, brought to you by the leader in electronic devices as well as wholesale Android phones.. The OS version on this device cannot be upgraded or flashed and any attempts to modify the default OS will void the warranty. As a wholesaler, Chinavasion provides no software support, advice, or training regarding the operating system and software.